Solve a mind-bending collection of puzzles with endless replayability. "I have been clearing clutter in my home for years and it is a never ending job. With Clutter Infinity, I am able to complete each task and proceed to the next. The colors are bright and beautiful! The objects to remove are in a variety of sizes, shapes and colors and are quite vividly portrayed in the game play." This just might be the best Clutter of them all. So many variations, so little time. All your old favorites are here along with twice as many new ones to keep you playing for hour and hours. Enjoy 875 puzzles in all, with randomly generated levels providing hours and hours of replayability. Solved Intermixed, Silhouettes, Outside-In and Clutter Picture Puzzles, just to name a few. 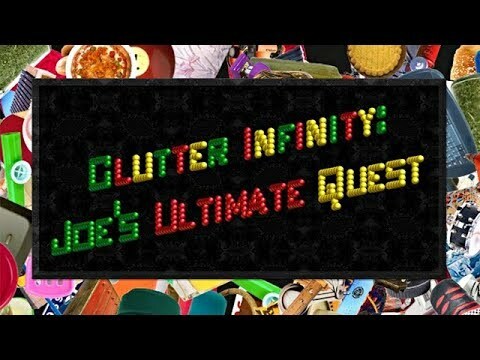 Featuring many puzzle variations, new favorites and replay features, and over 75 Picture Puzzles and Box Quotes, Clutter Infinity: Joe's Ultimate Quest will keep you endlessly entertained. It was good. I was addicted to the original Clutter, so it was nice to see a new game. The graphics are very good and it is enjoyable. One of the best Hidden Object games I have played. The whole Joe series is very challenging at times. I like this very much. I am 76 and I think it keeps my mind alert and my eyes focused. I bought this game. Great game. Kept me focused all the time. Can get addictive. Look forward to playing the next one.